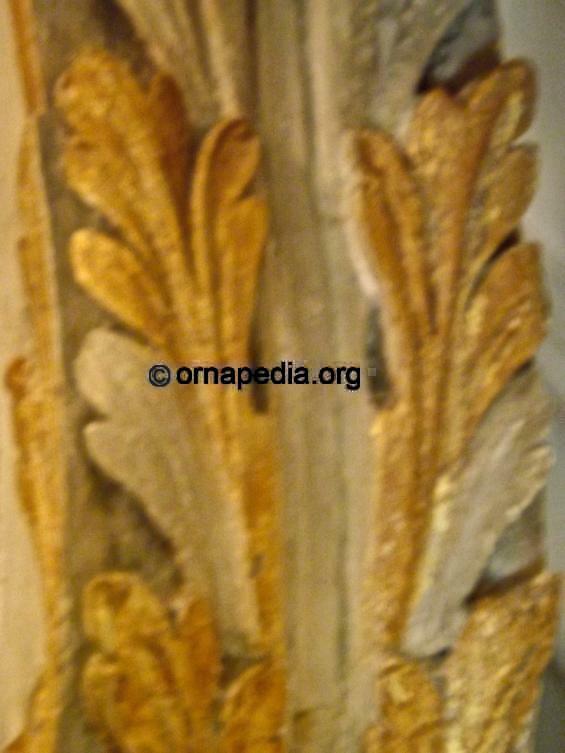 18th Century console table with eagle - gilt - detail of acanthus leaf treatment to side bracket - Ornapedia SFG. Description: 18th Century console table, detailed with an eagle and acanthus leaf to the side bracket. A gilt finish.